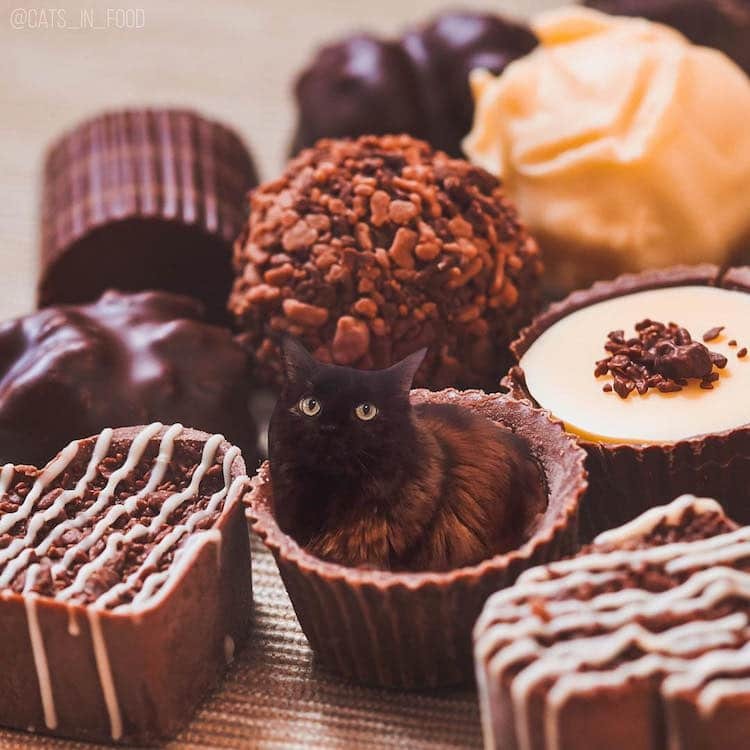 Are you familiar with the meme “If it fits, I sits” (which plays on how cats are prone to squeezing into awkward places)? 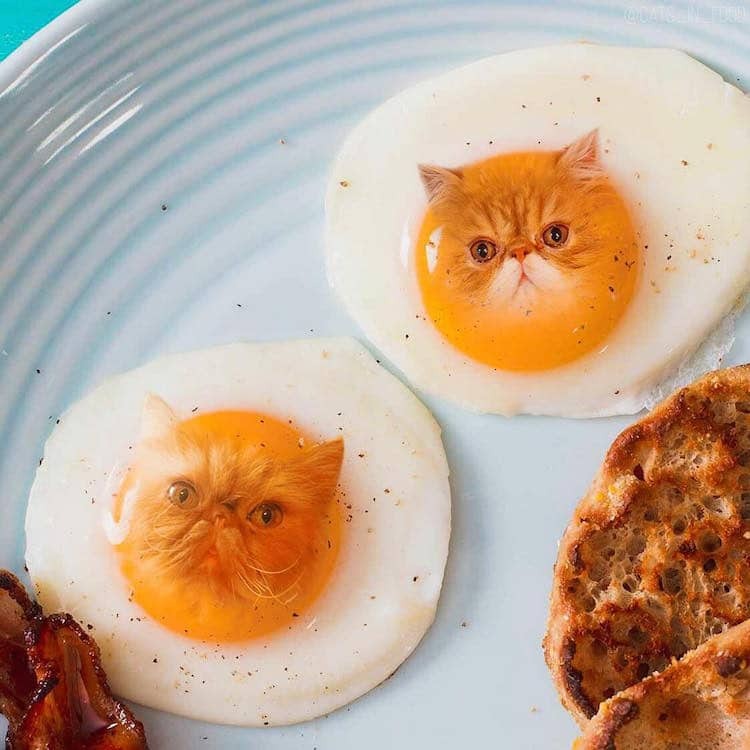 Well, Russian artist Ksenia takes it one step fur-ther and imagines what it would look like if our feline friends started hiding in our meals. 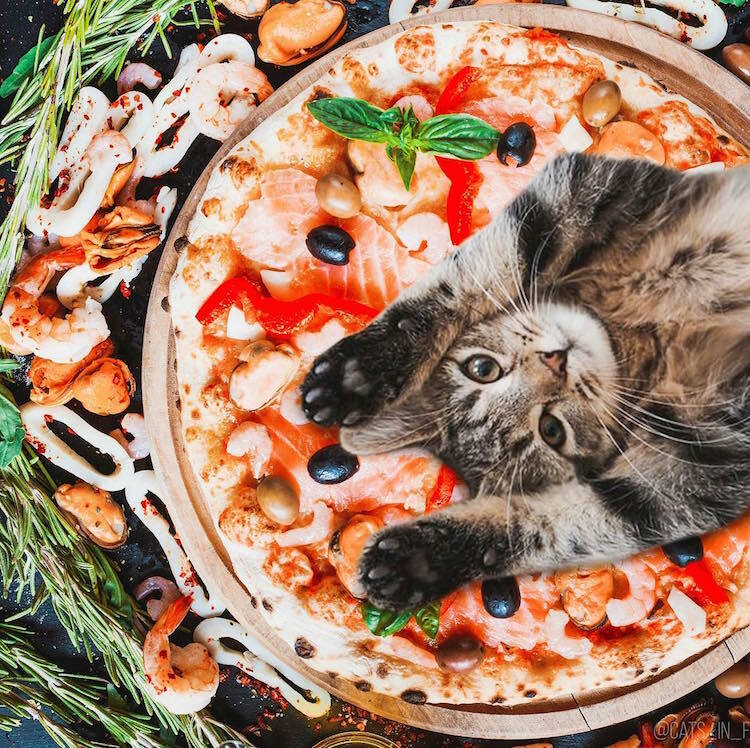 For her Cats in Food series, the artist uses Photoshop to digitally edit funny cat photos into plates of food. 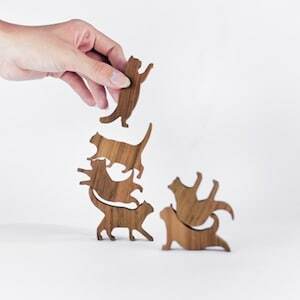 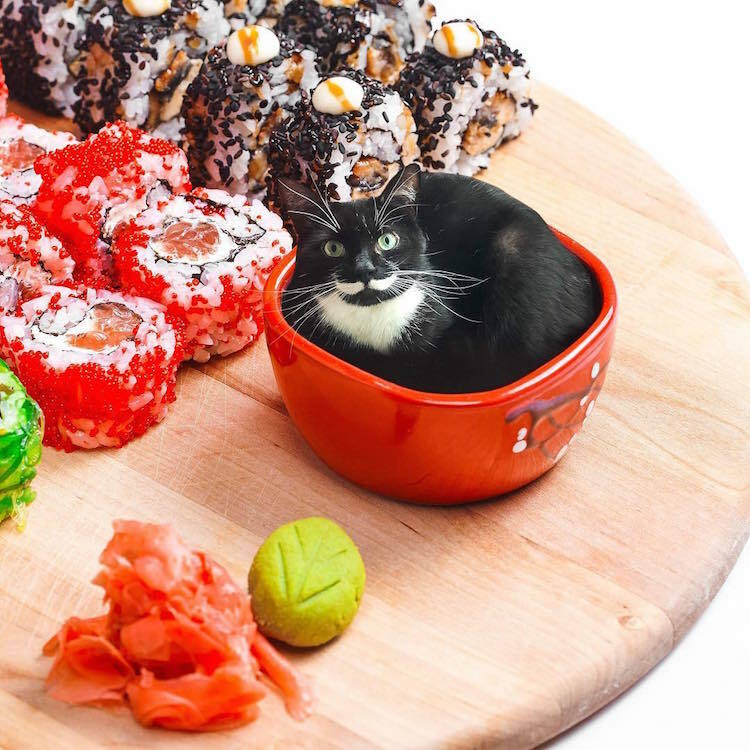 From candy cats to furball soup, it seems that almost any surreal scenario is pawssible for Ksenia’s kitty cuisine. 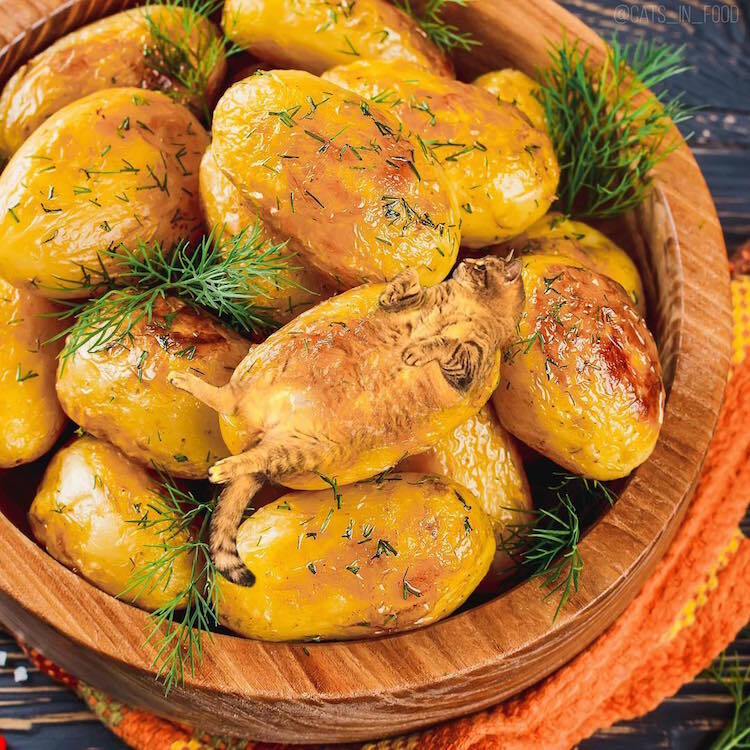 In some images, subtle edits camouflage cats among surrounding grub. 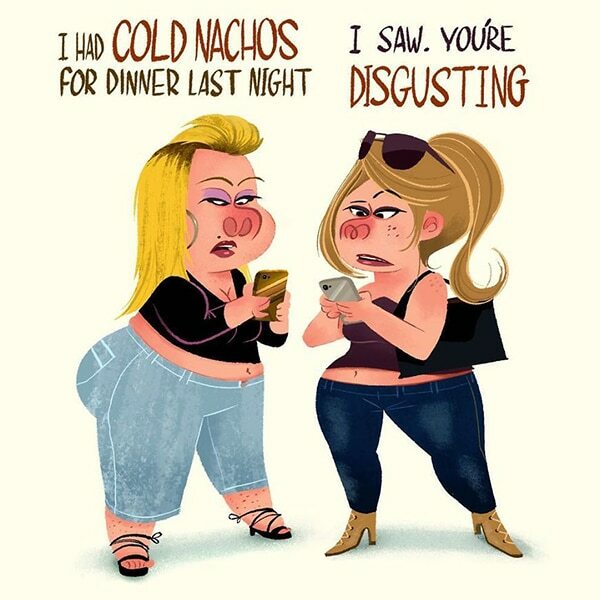 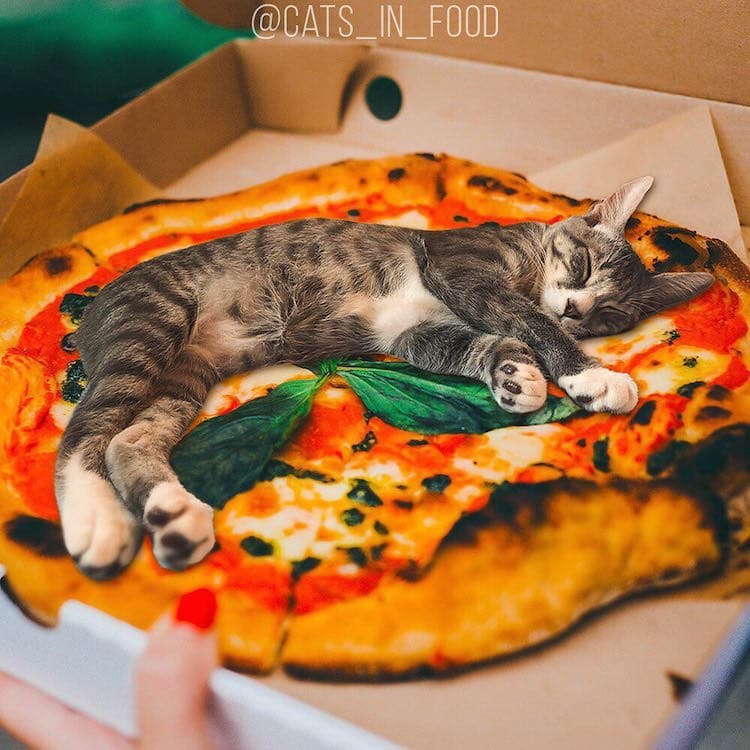 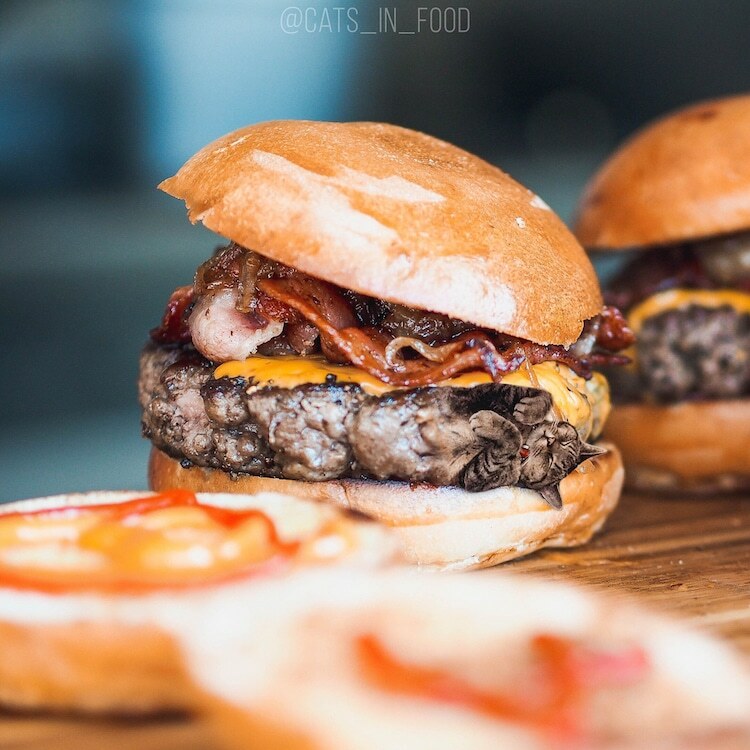 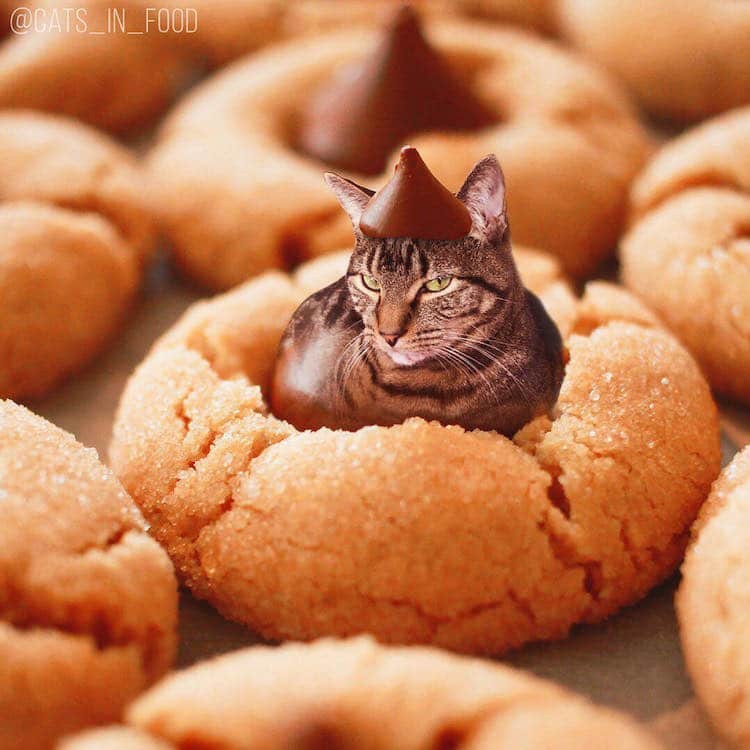 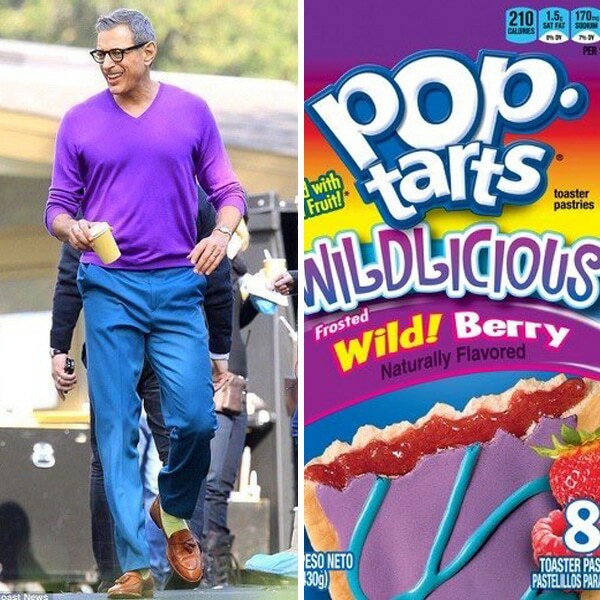 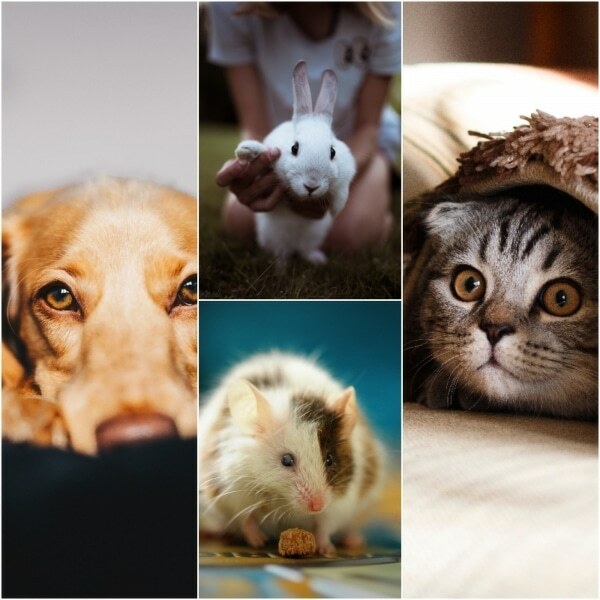 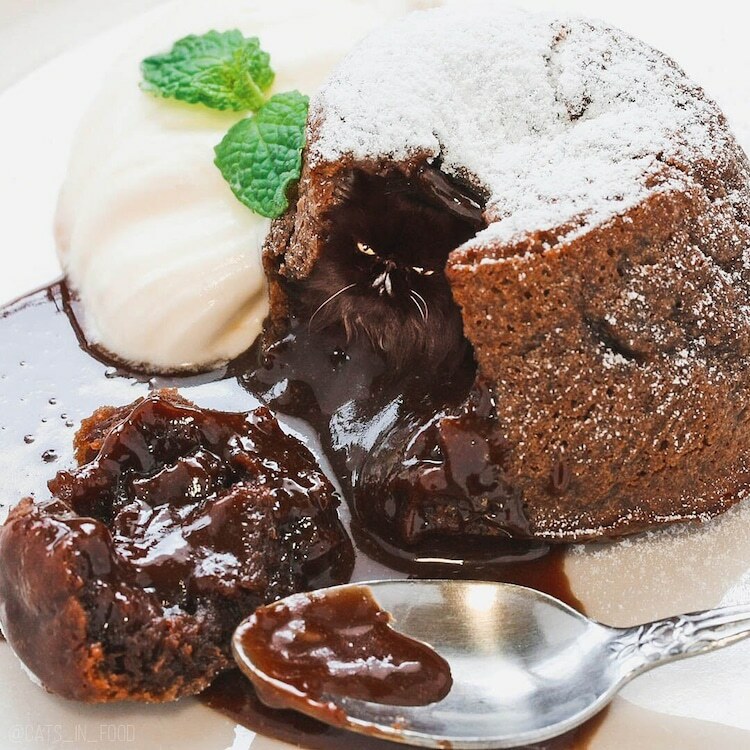 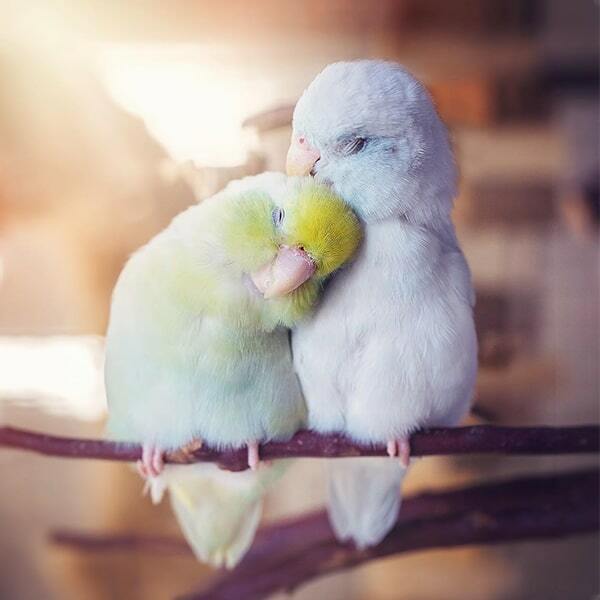 Particular examples include a potato-shaped cat (or a cat-shaped potato), and a “Chocolate fondant with a little surprise inside.” In typical feline fashion, other images are less discreet, such as a tired tabby who decided to take a nap on top of a pizza. 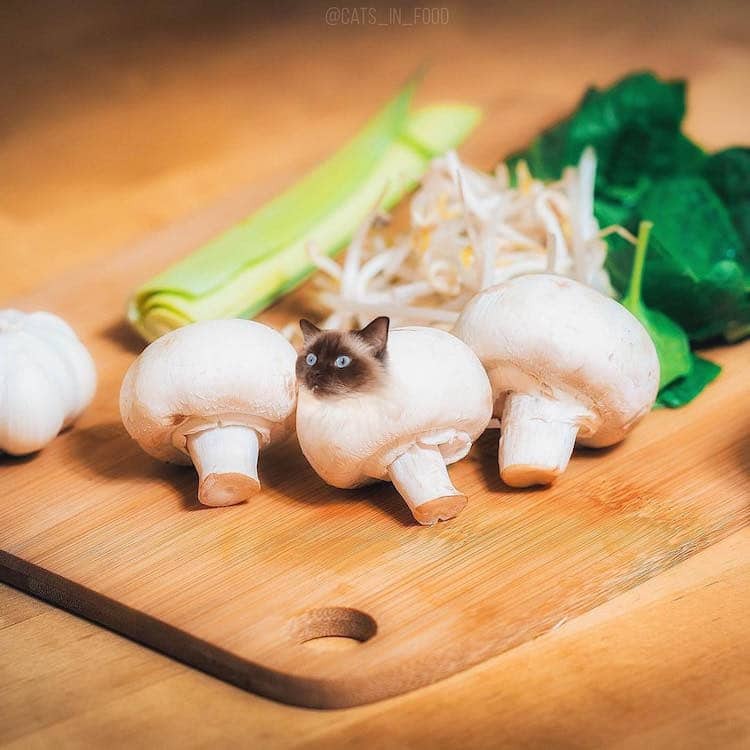 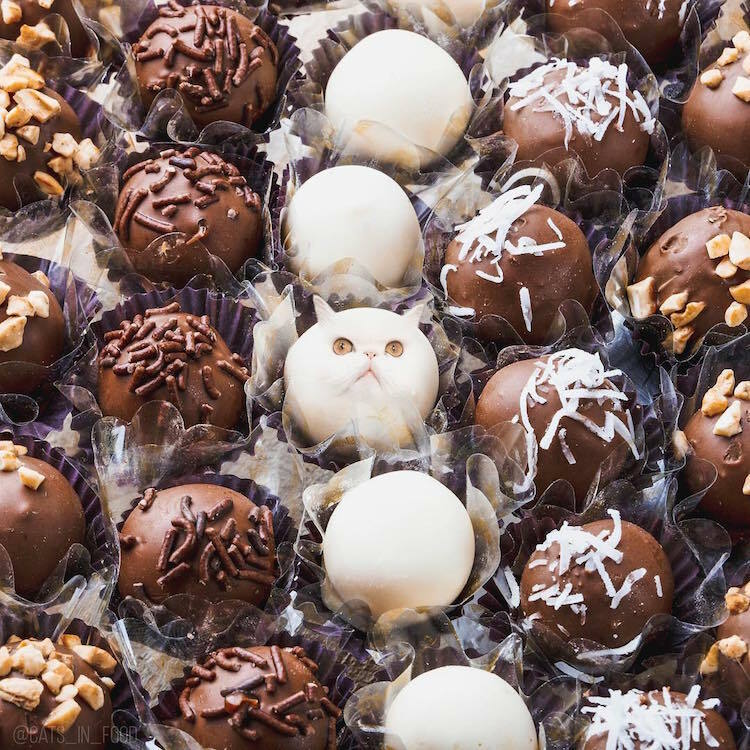 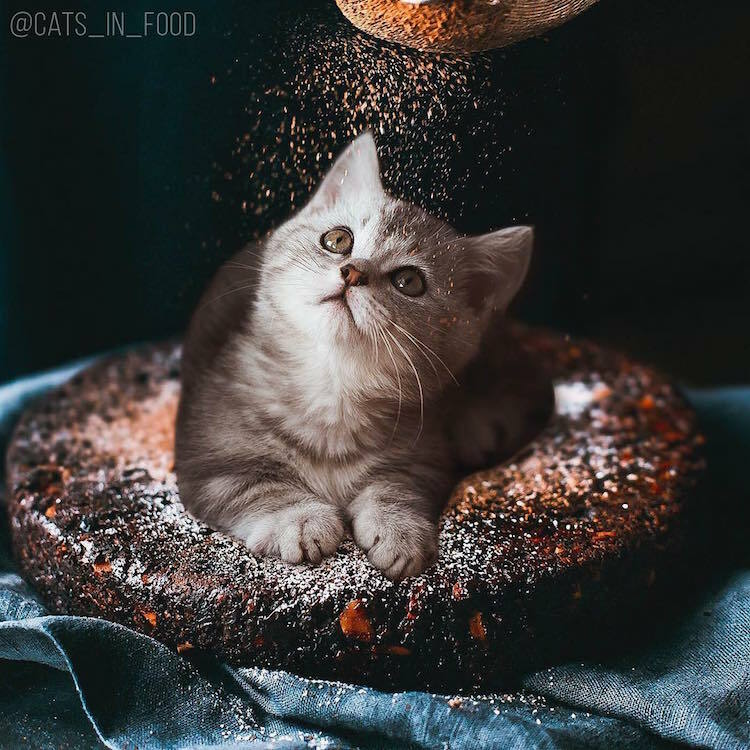 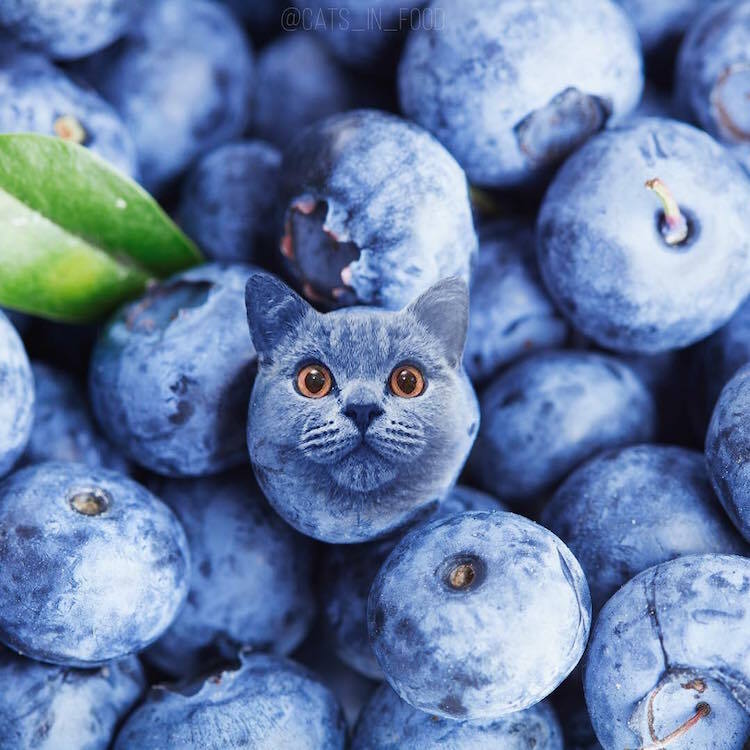 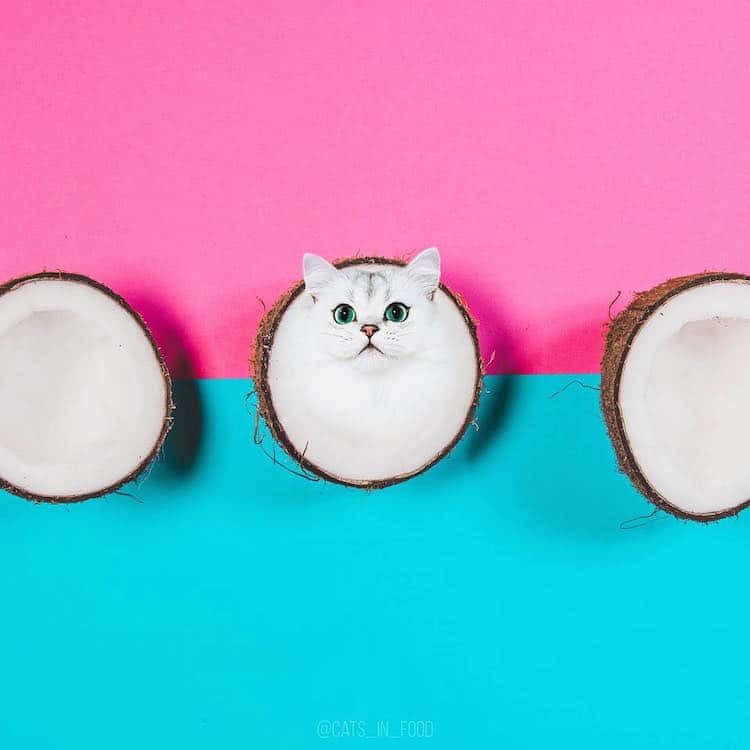 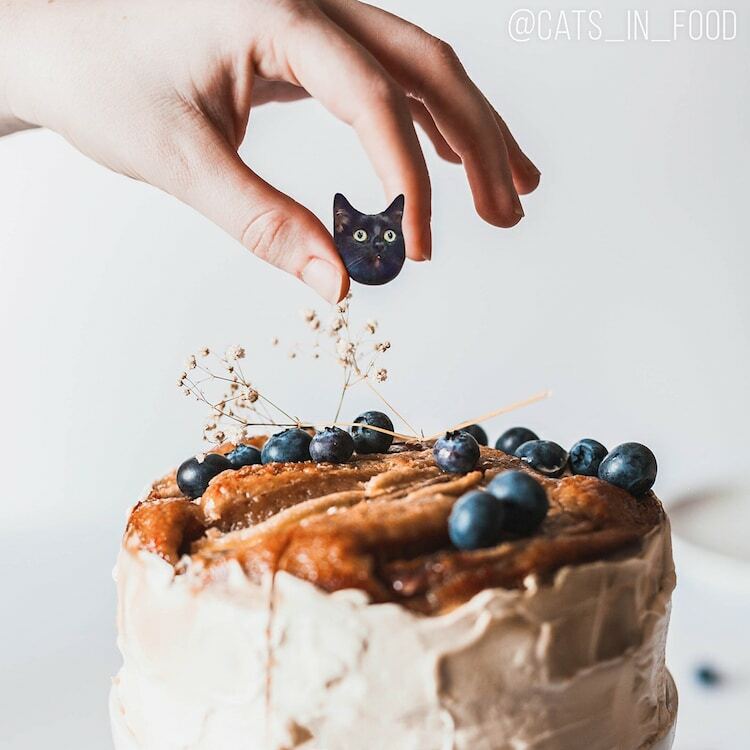 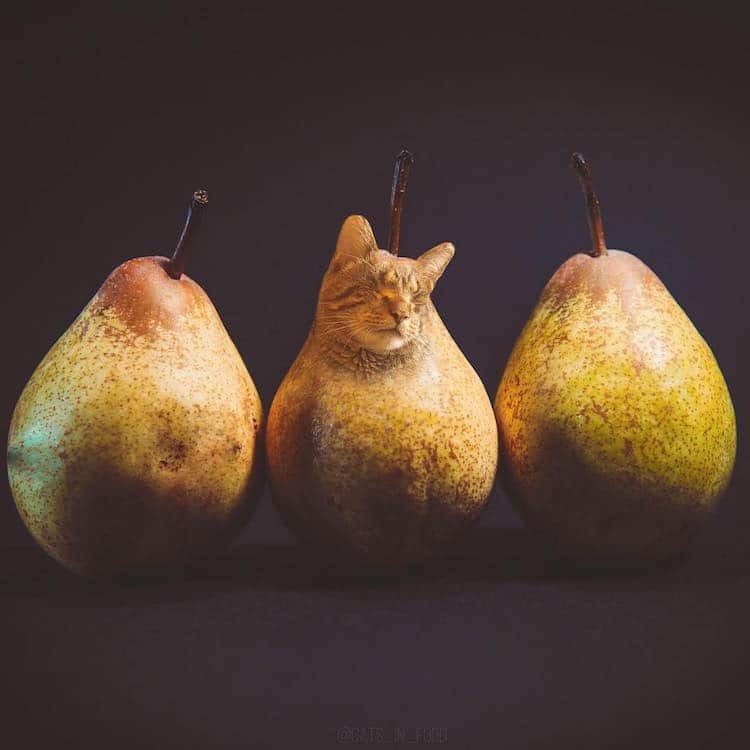 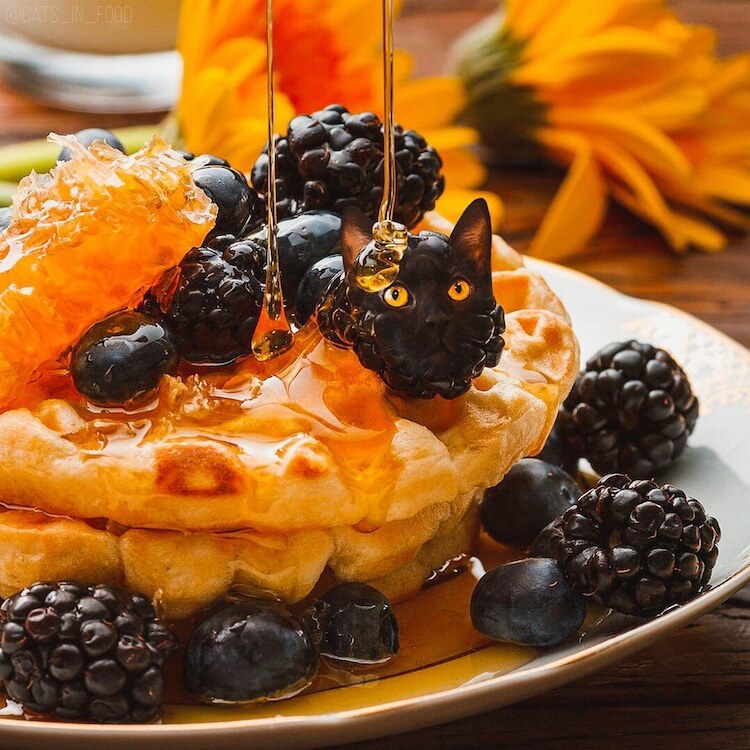 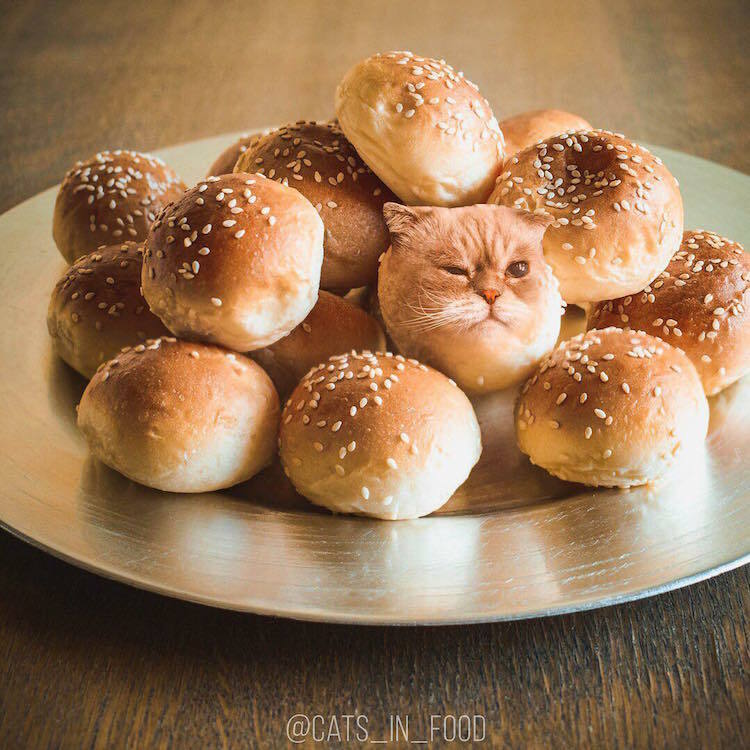 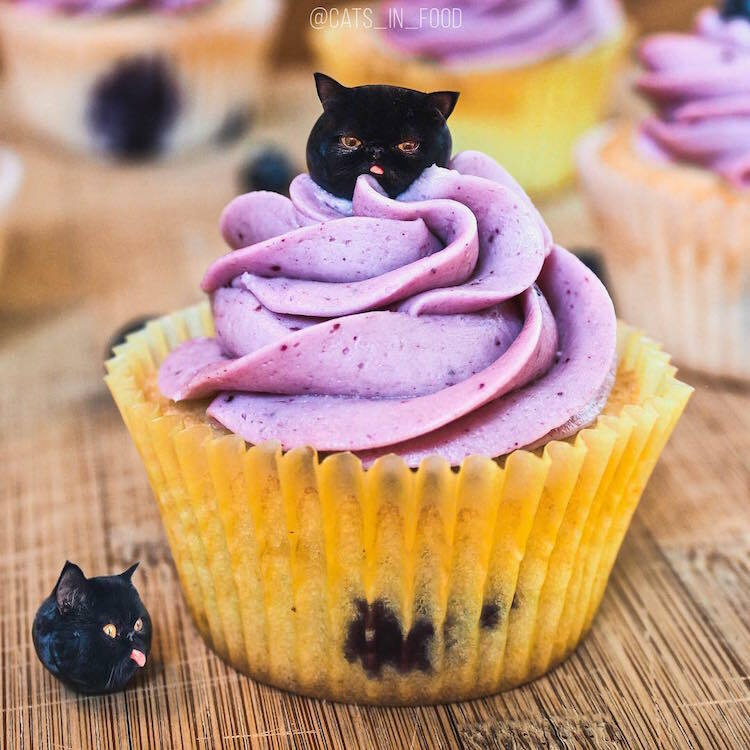 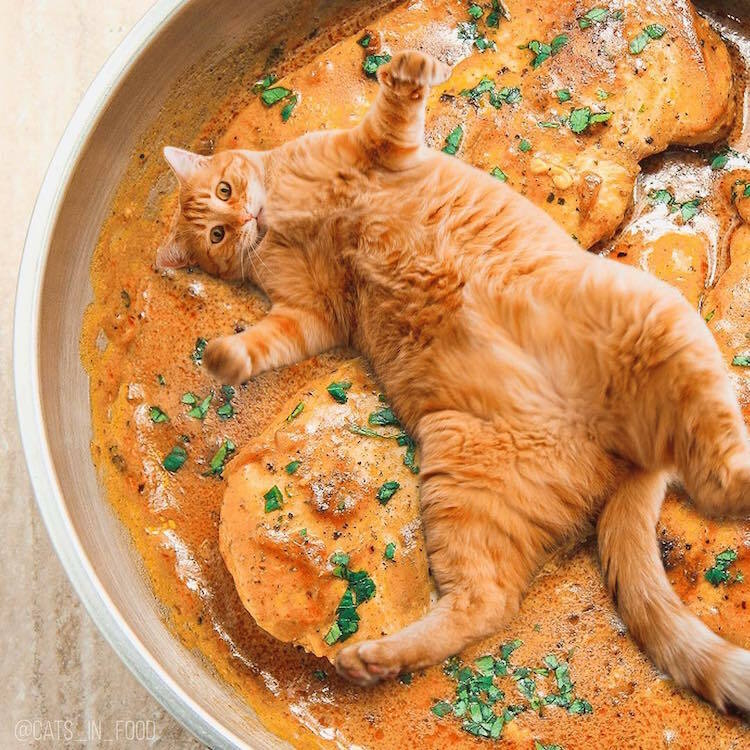 Since launching the Cats In Food Instagram profile in January 2018, Ksenia’s hilarious photo edits have risen to Internet fame; currently boasting over 55K fanatical feline followers in just 4 months. 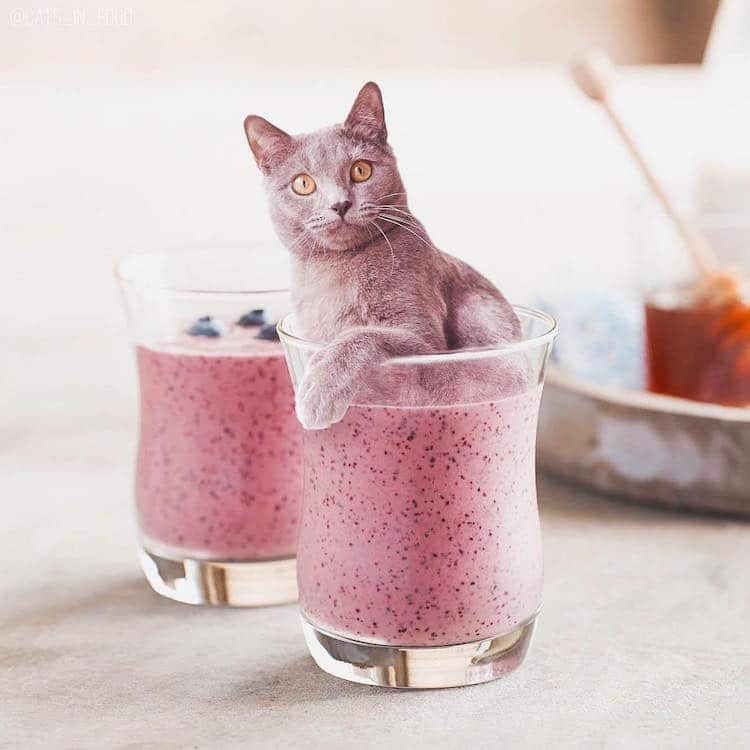 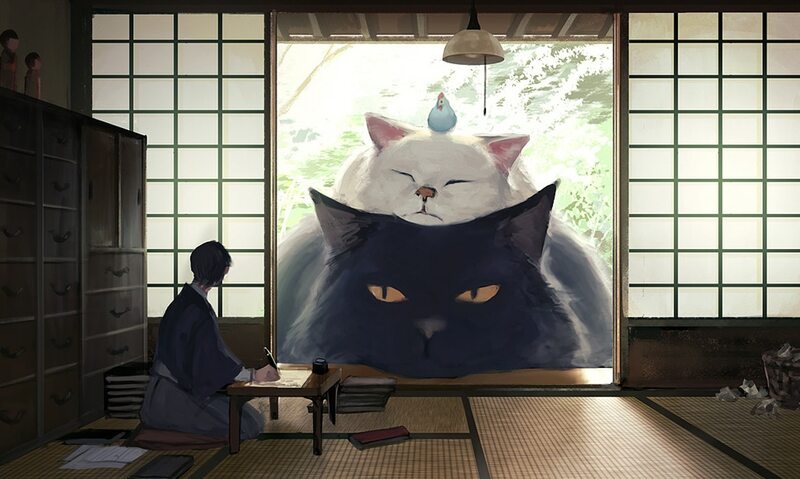 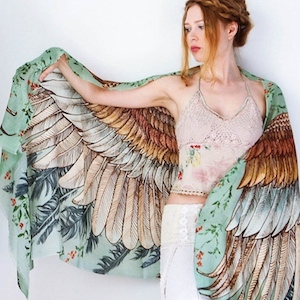 If you love Ksenia’s concept, you can request your own feline food combination via Instagram direct message, and order your favorite image as prints, t-shirts, mugs, and more on the artist’s Redbubble profile. 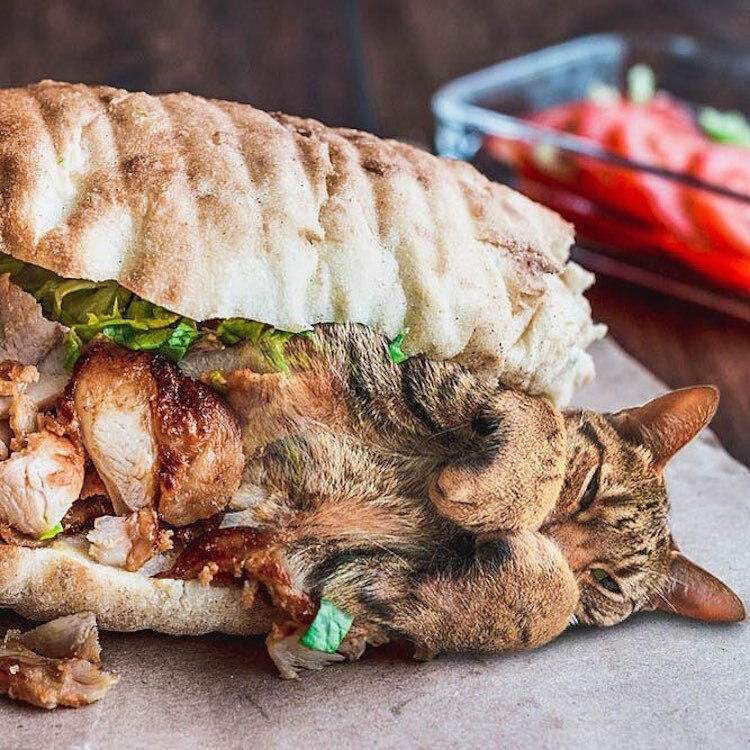 For the Cats in Food series, Russian artist Ksenia imagines what it would look like if cats started hiding in our meals. 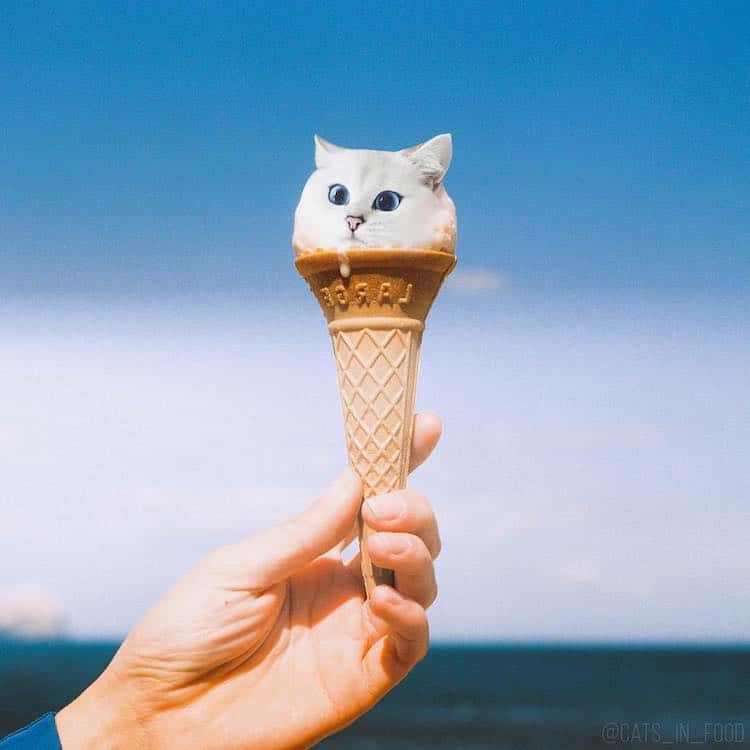 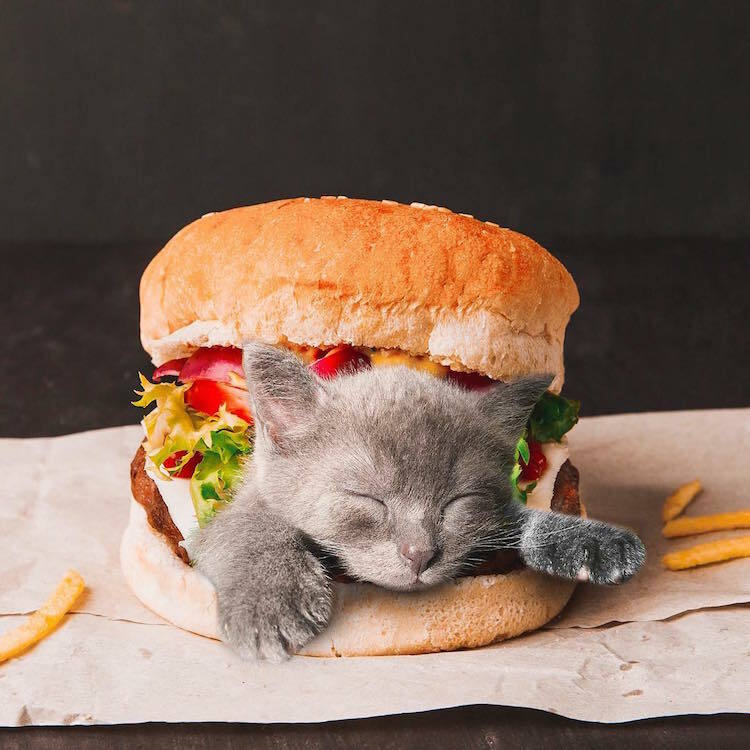 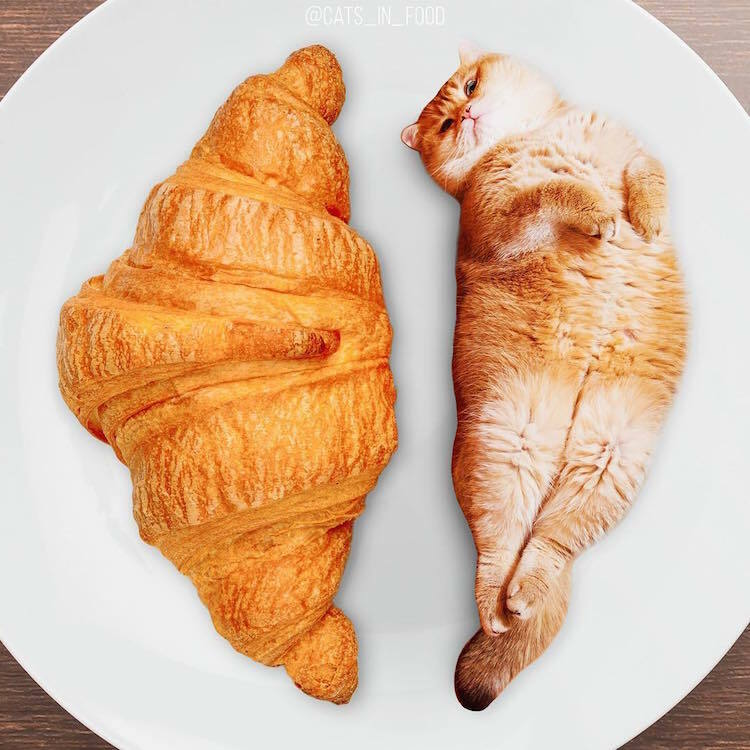 The artist uses Photoshop to digitally edit funny cat photos into plates of food. 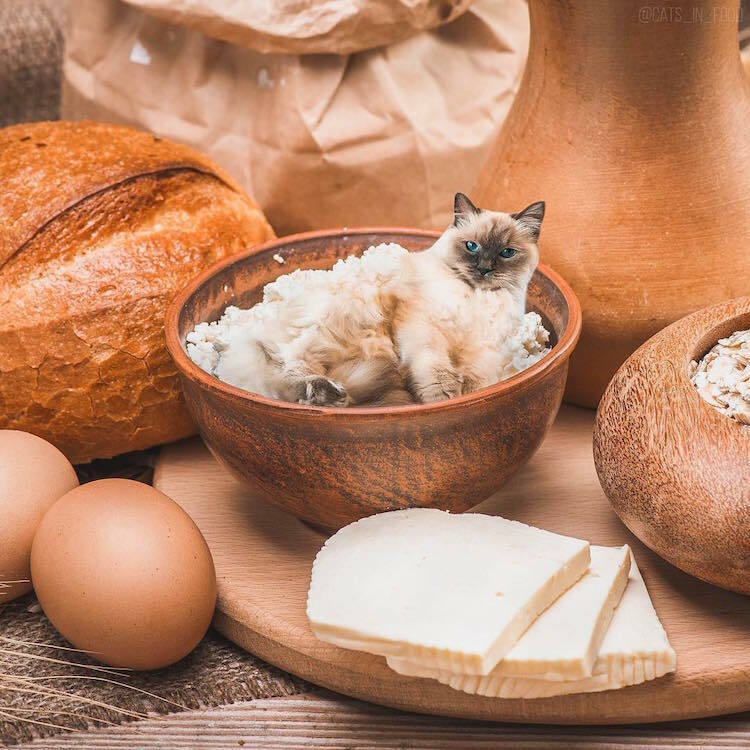 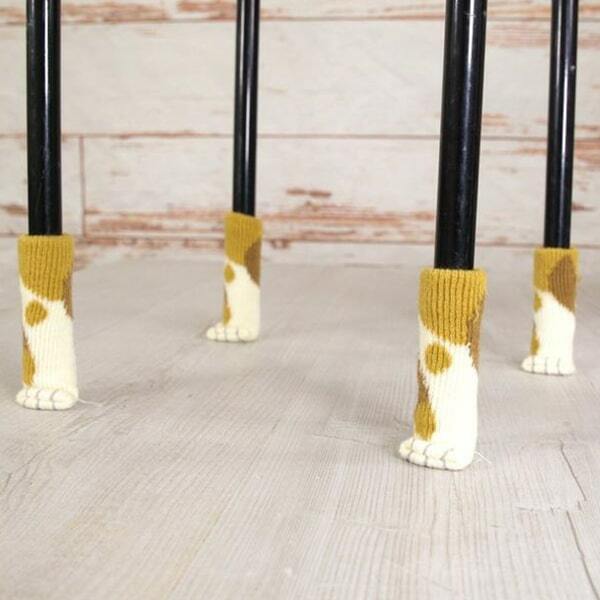 From candy cats, to furball soup, it seems that almost any surreal scenario is pawssible for Ksenia’s kitty cuisine. 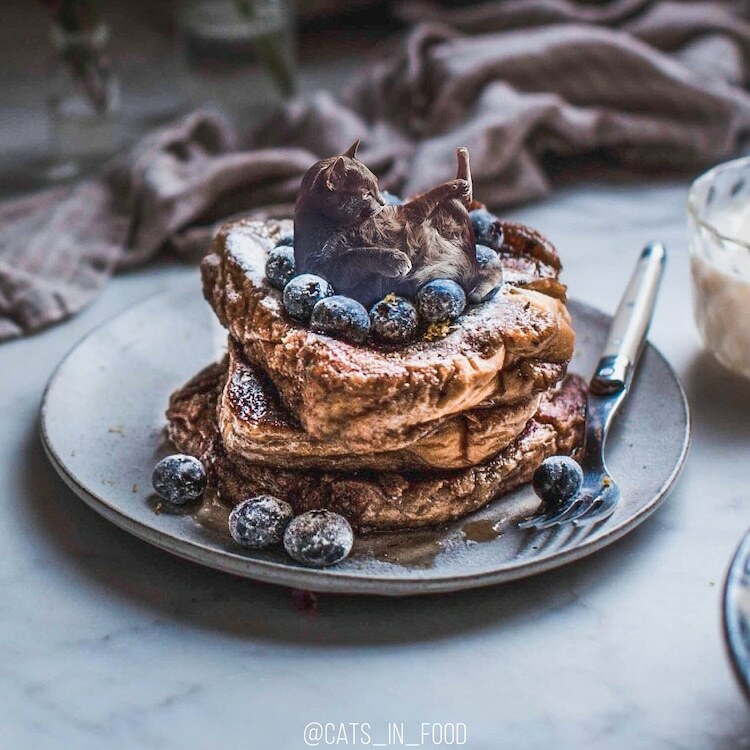 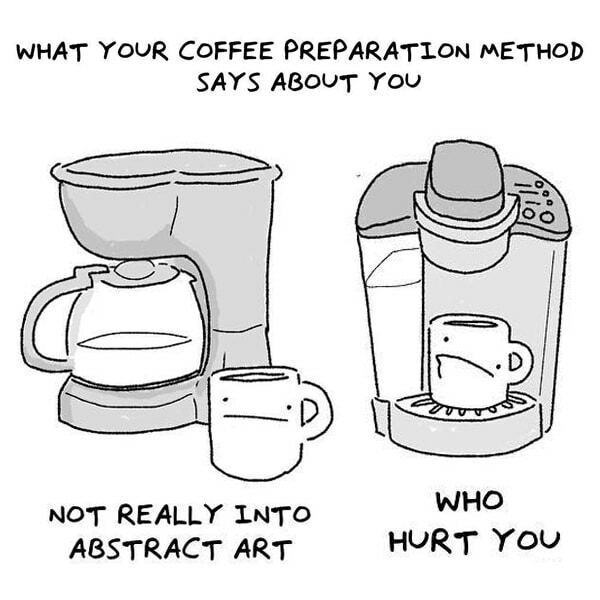 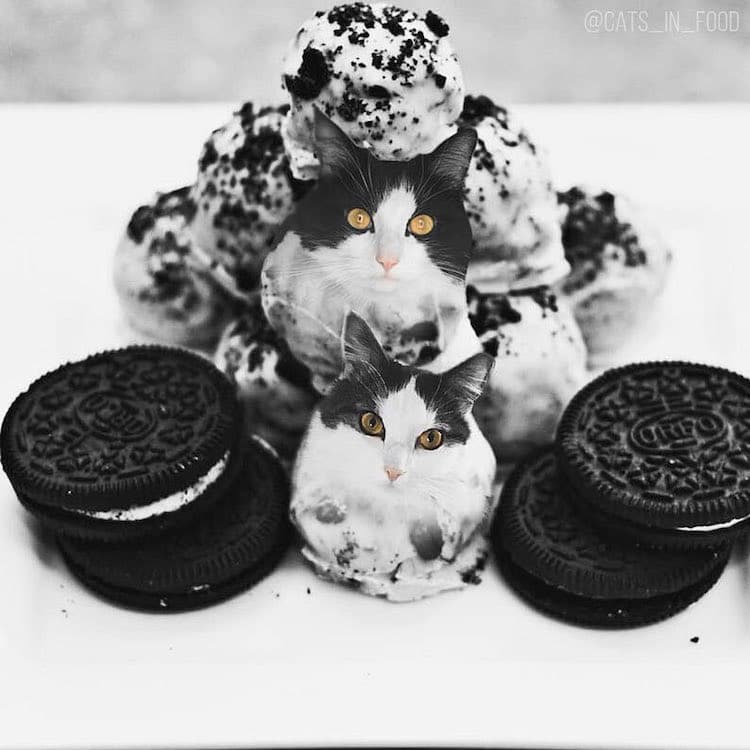 My Modern Met granted permission to use photos by Cats In Food.